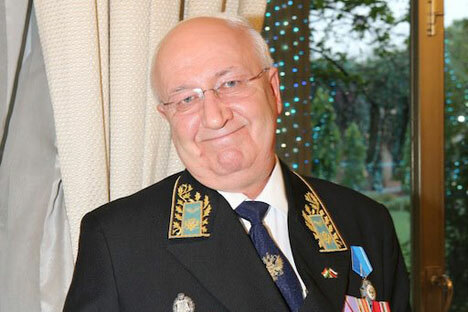 Russia’s ambassador to India Alexander Kadakin completes 25 years of diplomatic service in his “karma-bhoomi.” His contribution to bilateral relations is invaluable. It was an unusually hot morning in November 2000 in the village of Rev Danda, a small coastal village about 125 kilometres away from Mumbai. A large group of Russian diplomats, urban Russophiles and local villagers gathered near the beach for a ceremony to lay the foundation stone of a monument to the great explorer Afanasy Nikitin. Just after the foundation stone was laid, it was the Russian Ambassador’s turn to speak to the audience. What transpired over the next few minutes left me inspired and pleasantly surprised. Alexander Kadakin started his speech with “a dear brothers and sisters” in Hindi. The Indians in the crowd immediately started clapping assuming that the ambassador knew a smattering of the language. He then continued speaking without even looking at a pre-prepared speech in chaste and perfect Hindi. This was the kind of Hindi that very few people in India’s financial could speak. At the end of his speech, there was a standing ovation that lasted a few minutes. The ambassador completely won the hearts of everyone in that crowd who had no clue he’d speak in Hindi with such effortless ease, let alone passion and sincerity. In a career that has involved several postings, Ambassador Kadakin has integrated himself with Indian society in a way that few diplomats could even dream of. Always approachable, he has maintained a strict demeanour and a clearly no-nonsense approach with whomever he interacts with. This includes appearances in Hindi television news programmes. It’s often said that diplomats avoid being direct and frank and cleverly disguise their words. What stands out about the Russian ambassador is the fact he will get his message through without indulging in diplomatic niceties. 12 years after the foundation-stone laying ceremony in Rev Danda, I had a chance to attend a press-conference with Ambassador Kadakin on board the Marshal Shaposhnikov, a Russian ship that was in the Mumbai naval dockyards en route to fight piracy. When I directly asked him about media speculation about Russian-Indian diplomatic relations not being as good as they once were, I received a “scolding” for my “rubbish” question. On more sensitive issues, the ambassador spoke candidly on the condition that his words wouldn’t be taken out of context. His passionate stance on important Indo-Russian issues makes him all the more appreciated by the press in India. A soft sirocco burned my lips. It was your kiss, O India! You put on laced mantle of waves. With sparks of celestial mystery. Congratulations on completing 25 years as a diplomat in India, Alexander Mikhailovich! For us, you are the quintessential Indian at heart.